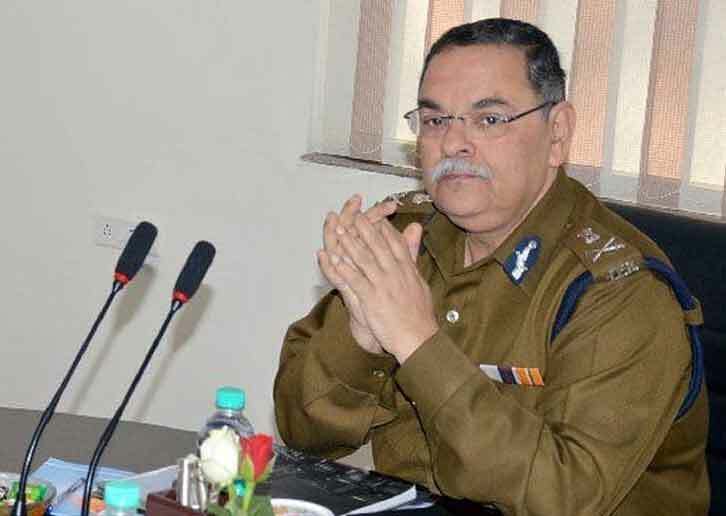 Rishi Kumar Shukla is an IPS officer, who recently appointed as the chief of CBI. His profile is always clean as a Police officer and fluently talking Hindi. He also the former Director General of Police (DGP) of Madhya Pradesh. 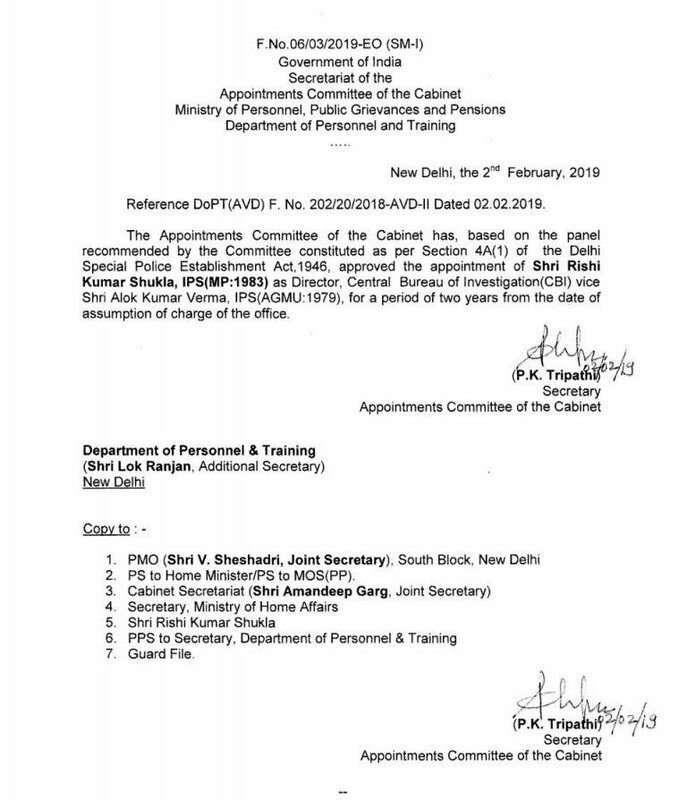 Kumar has been appointed on January 10 in place of Alok Kumar Verma. His name came into the headline of media when CBI reached Police Commisenor Rajeev Kumar‘s house to take him custody for interrogation about the Saradha chit fund scam. Rishi Kumar was born 23 August 1960 in Gwalior, Madhya Pradesh, India. After completing his elementary schooling study from Carmel Convent Senior Secondary School, he moved to Kolkata with his family, where his father appointed as a General Manager in Hindustan Motors. Later he completed his further study from a Hindi medium school. AT 1st he attended IIT Kharagpur but for some family’s issues, he can’t continue his study. After that, he came back to his home town Gwalior and completed his graduation in commerce. Moreover, Rishi Kumar Shukla did master in Philosophy. Later he appeared in UPSC. Kumar belongs to an Indian Hindu Brahmin family. His father name Bal Krishna Shukla, who was an engineer at Madhya Pradesh Electricity Board and a general manager in Hindu Motors. 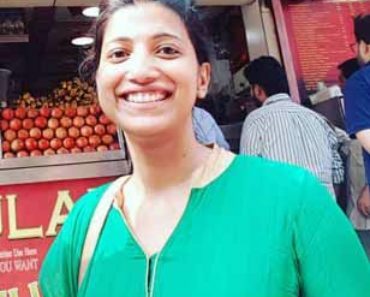 He has an elder sister, Shramita Pandey. He is a married and strict forward person. His wife name is Neelam, who is professionally a school teacher. They have two daughters and both of them are engineers. 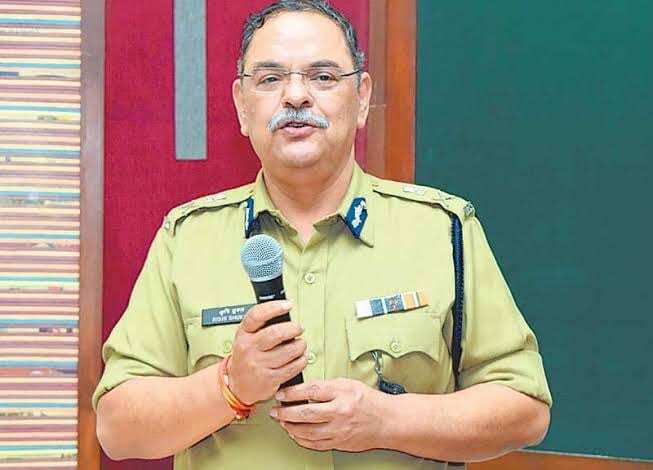 Shukla, an IPS officer of 1983 batch, is an officer is serving as the chairman of the Madhya Pradesh Police Housing Corporation. Later he was posted in Raipur, Shivpur, Damoh, and Mandsaur in various posts including CSP, SP, AIG, DIG, IGP. At the age of 23 Years, he joined the office as a Youngest IPS officers in the batch. In 2005, he involved in the Abu Salem and Monica Bedi’s case and played a major role. He is also former Director General of Police (DGP) of Madhya Pradesh. Kumar also involved in crucial cases such as the AgustaWestland scam, 2G scam, coal scam, Air India scandal, charges against Congress leaders P Chidambaram and Bhupinder Singh Hooda, UP sand mining scam, Saradha and Rosevalley chit fund probes, FIR against former ICICI Bank CEO Chanda Kochhar, among others. 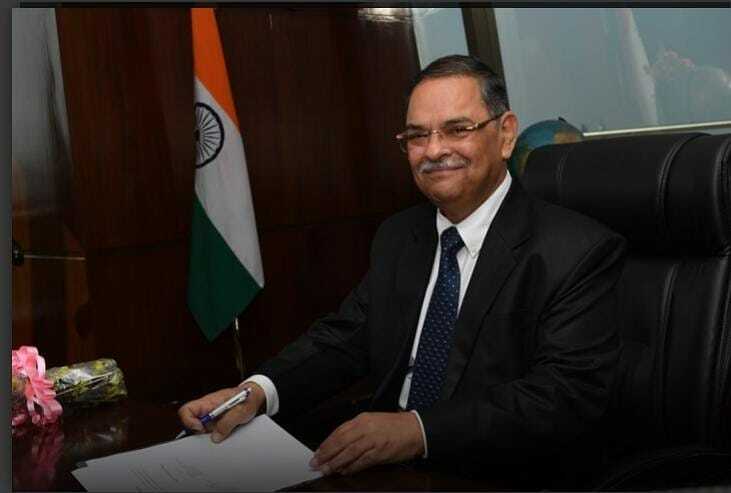 On 2nd February, this 59 years old IPS officer appointed in place of Alok Kumar Verma, in the post of CBI director, after two meetings of the Prime Minister Narendra Modi-led selection committee held on January 24 and February 1. Shukla, an IPS officer of 1983 batch. He is from Gwalior, a native place of Madhya Pradesh. Kumar loves to play tennis. He was posted in Raipur, Shivpur, Damoh, and Mandsaur in various posts including CSP, SP, AIG, DIG, IGP. He was one of the youngest IPS officers, in his office batch. In 2005, he involved in the Abu Salem and Monica Bedi’s case and played a major role. His name came into the headline of media when CBI reached Police Commisenor Rajeev Kumar‘s house to take him custody for interrogation about the Saradha chit fund scam. As per news, Shukla took charge at a time when the agency is busy in a dirty battle of a turf war with the Kolkata Police.